We couldn’t be more pleased to announce that today is the official kick-off of the 2019 ChefsFeed Indie Week season! Our first event is at chef Tim Ma’s American Son (located in the Eaton hotel), April 4-7 in Washington DC. Even better news? This year we are bringing ChefsFeed Indie Week to eight cities thanks to our official sponsor Mastercard and presale tickets for DC are available RIGHT NOW, exclusively for cardholders. 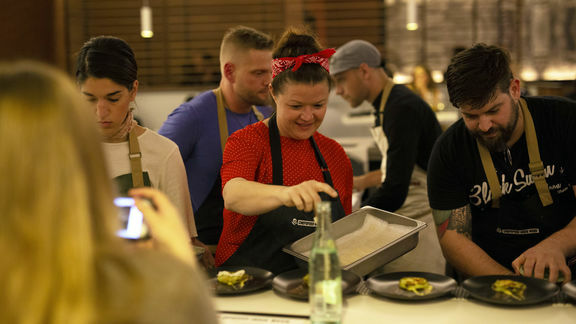 Each CFIW event features a curated crew of 24 all-star chefs coming together to host 12-course dinners Thursday-Sunday at killer restaurants across the country. You’ll get to enjoy your meal a few feet from the choreography of the kitchen and have a chance to savor unmatched food and drink. It’s all the food, none of the pretense, and a lot more face time with the talent behind your meal. In the coming weeks we’ll be rolling out more tickets, more cities, and of course more amazing chef line ups. Visit our events page for more details and check out the full press release here.